"Being in this band for the past 12 years has been a true blessing," the announcement said. "We've gotten to go places we never knew we would. We've been able to see and experience things we never imagined possible. We've shared the stage with people we admire, people we look up to, and best of all, our friends. And now, like all great things, it has come time for it to end. Thanks for all of your support, and for being part of the adventure." 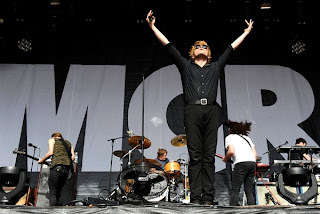 The band, formed in 2001 by high school friends Gerard Way and Matt Pelissier, was a major force in the mainstreaming of emo. 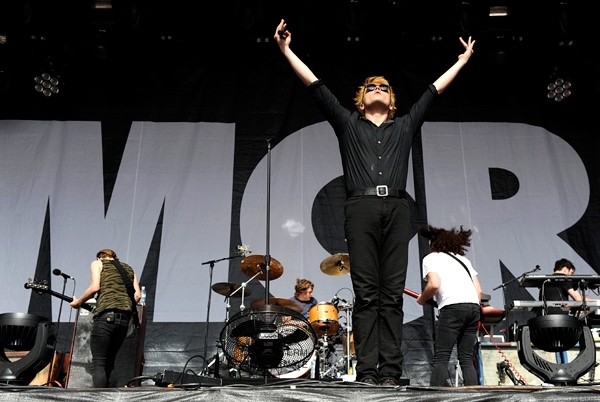 After their 2004 album Three Cheers for Sweet Revenge went platinum, they toured with Green Day and co-headlined the 2005 Warped Tour. Capitalizing on that momentum, My Chemical Romance released their ambitious concept album, The Black Parade, in 2006, reaching Number Two in the charts. The band's last studio album, Danger Days: The True Lives of Fabulous Killjoys, came out in 2010. "Beyond any sadness, what I feel the most is pride," Way wrote late Friday night on his personal Twitter account.